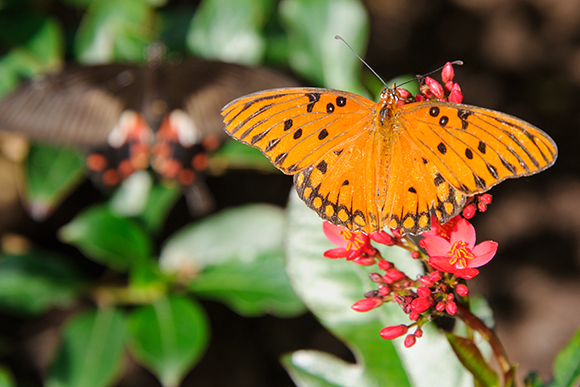 Here at the Chicago Botanic Garden’s Butterflies & Blooms, we have a variety of butterfly species that fall under the genus Heliconius. 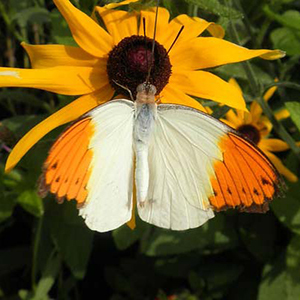 This fascinating group is commonly referred to as the longwings. 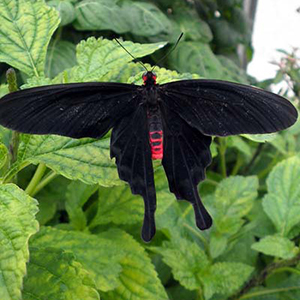 Longwings are native to the tropical and subtropical regions of the New World. This includes South America, Central America, and the southern United States. 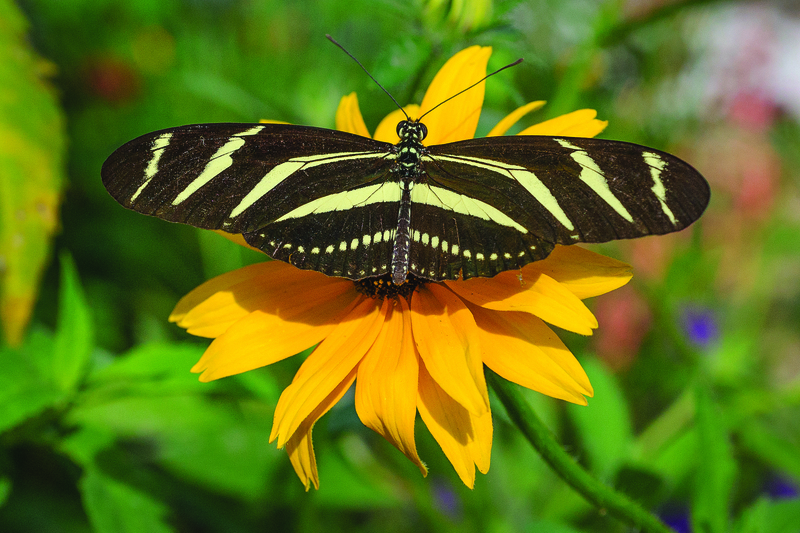 Florida’s state butterfly, the zebra longwing (Heliconius charithonia), has been found as far north as South Carolina. 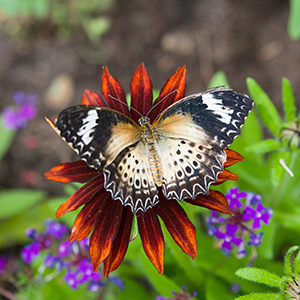 Despite their diminutive size, zebra longwings are noted for their long lifespans, which can be several months rather than several days or weeks. 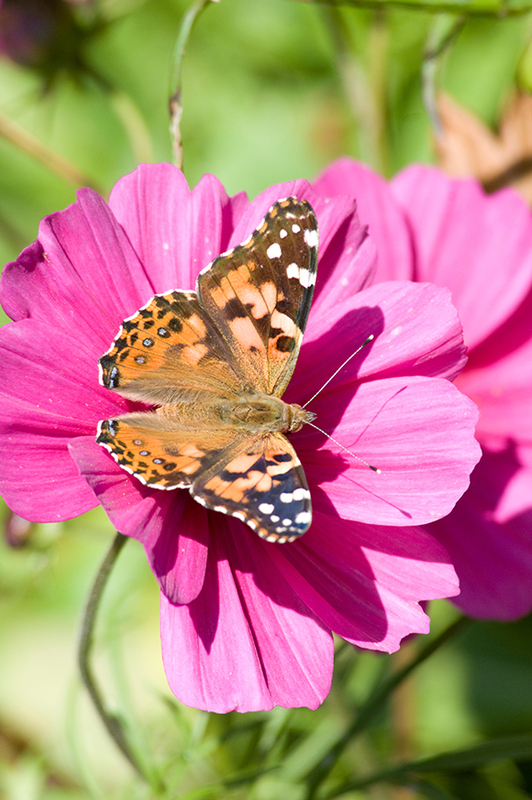 This is thanks to their ability to use pollen as a food source. Unlike nectar, pollen is rich in protein, and this healthy diet allows them to remain fertile for a longer period of time. Mimicry in butterflies illustrated on these plates showing four forms of Heliconius numata, two forms of H. melpomene, and the two corresponding mimicking forms of H. erato. 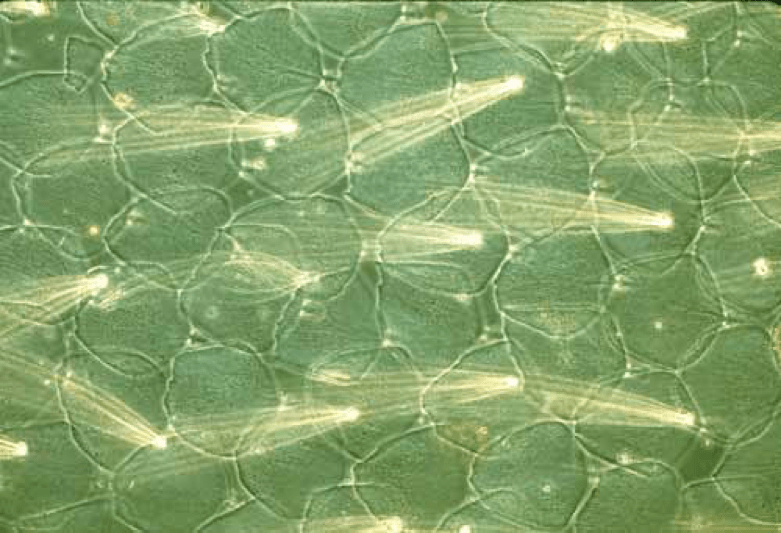 Image by see Source [CC BY 2.5], via Wikimedia Commons. 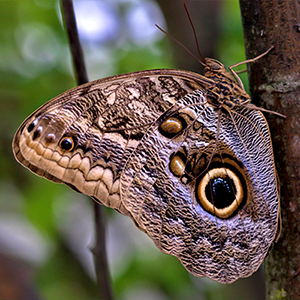 Heliconians are also known to be very “intelligent” and social insects. They roost together in large groups, respect their elders by giving them the best roosting spots, and even wake each other up in the morning by gently nudging one another. 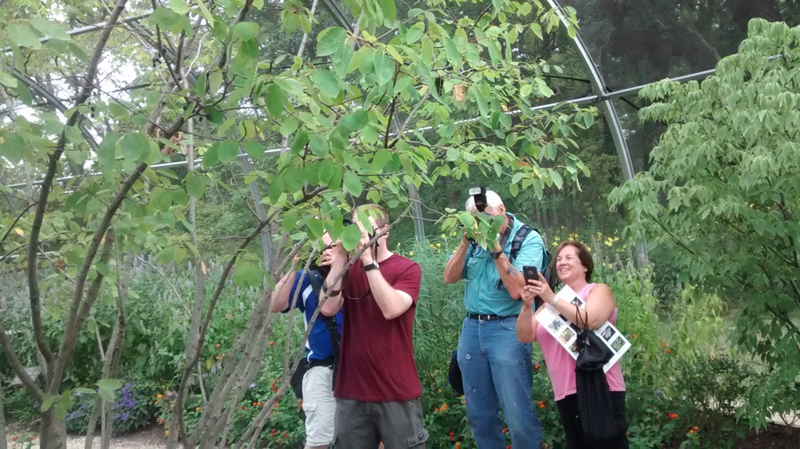 At Butterflies & Blooms, you can usually find them comingling in loose groups called “flutters,” roosting in long rows on our serviceberry trees, or even mating. 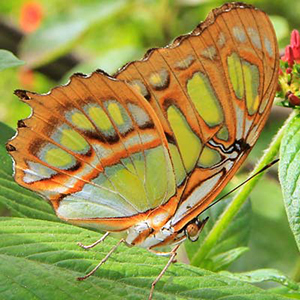 Like Darwin’s finches of the Galapagos Islands, the Heliconians have provided evolutionary biologists with a wealth of information and are studied more than any other butterfly. 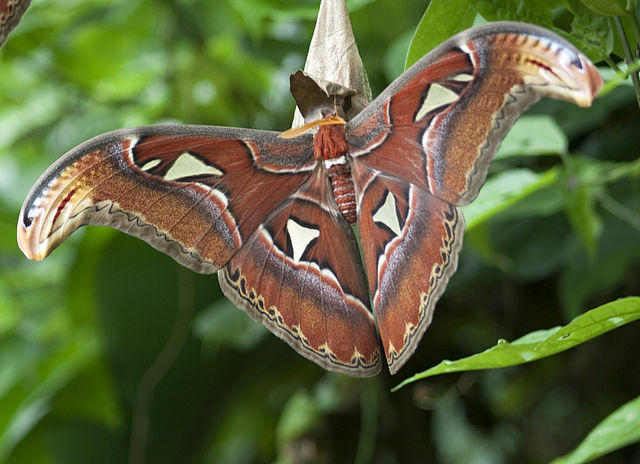 In the Amazon, Heliconians hybridize, form subspecies and local phenotypes, and mimic one another, confounding even the most seasoned lepidopterists. 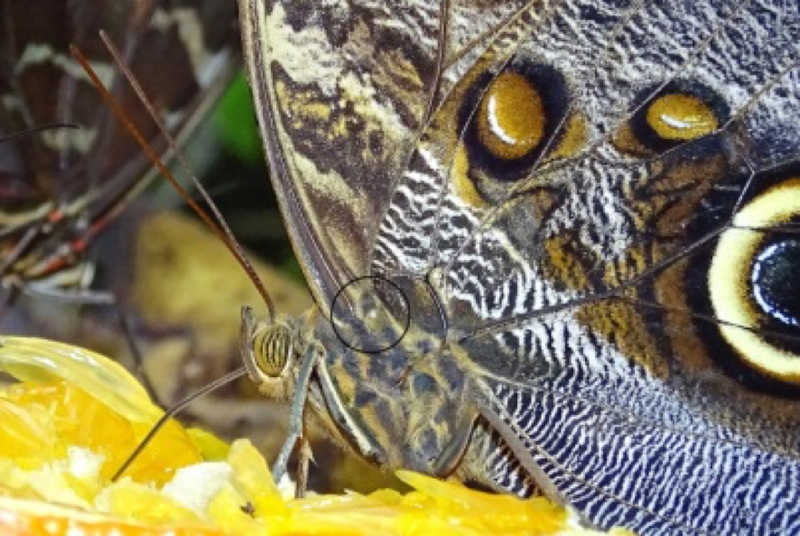 Longwings have a unique and bizarre mating tactic called pupal mating that is not seen in most butterflies. 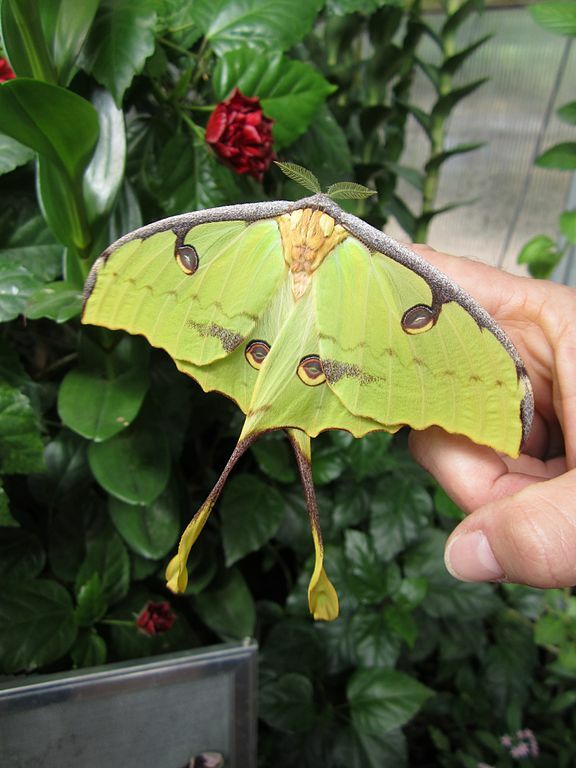 Males will seek out female pupae and insert their abdomens into the chrysalids, fertilizing the females’ eggs before the butterflies finish emerging from the pupal stage. Scientists are currently studying the evolutionary effects that this tactic may have. 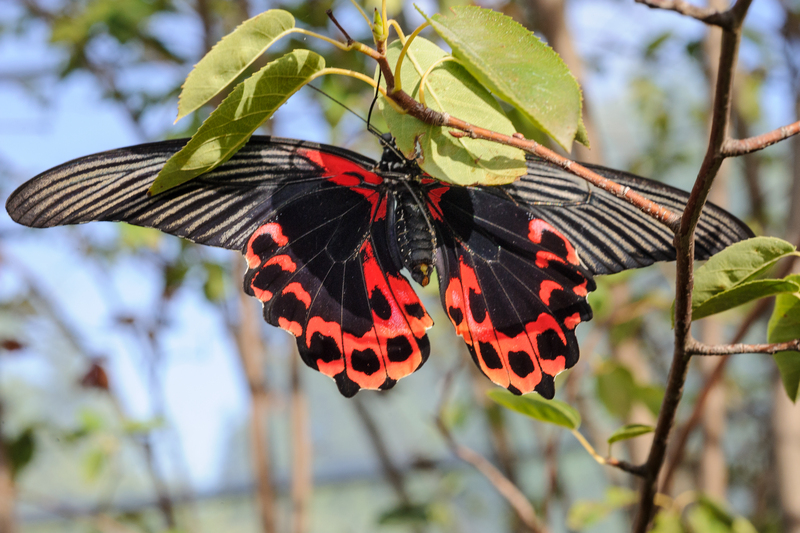 A Heliconius erato male is attracted by pheromones of a female pupa. 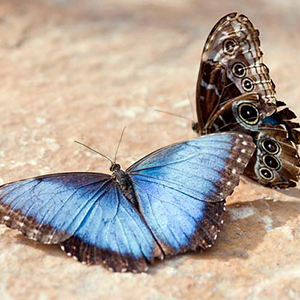 He waits until she starts to emerge to attempt mating. Photo ©Holger Klee via Flickr. 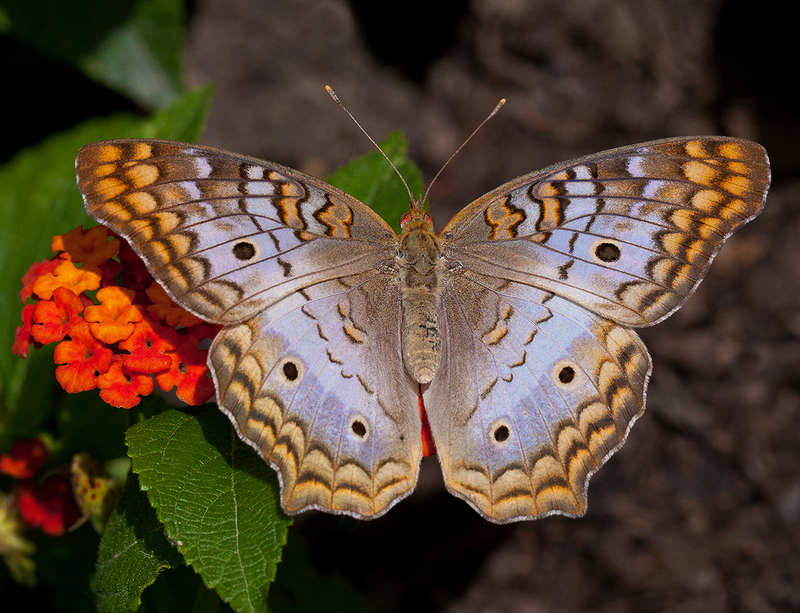 At Butterflies & Blooms we always have Heliconians flying around. 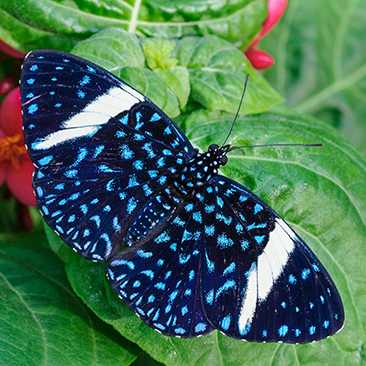 You may find the postman, zebra longwing, Doris longwing, and many others. Ask us where to find them and we’ll point you in the right direction. 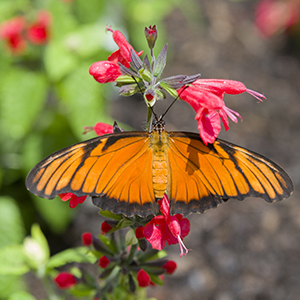 Until next time, enjoy the gardens and keep your antennae up for future updates.